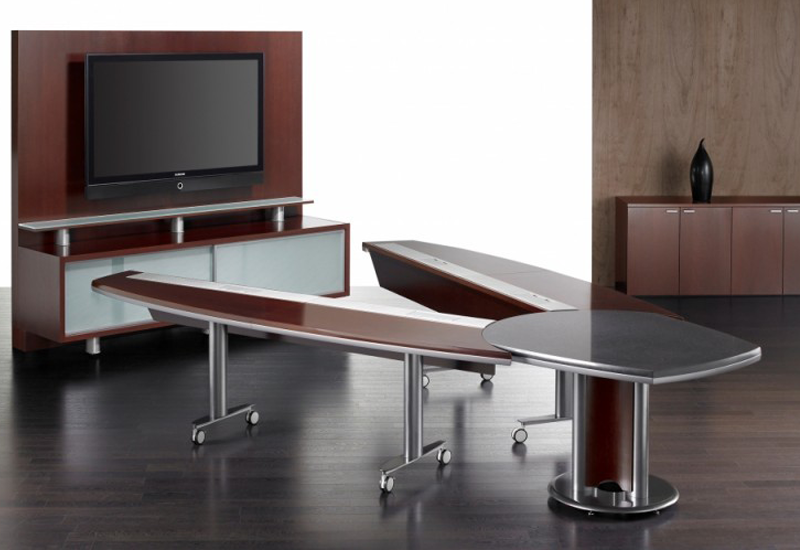 Eventi Articulating tables effortlessly transform from solid tables, to wide-open presentation table, to multimedia viewing platforms. 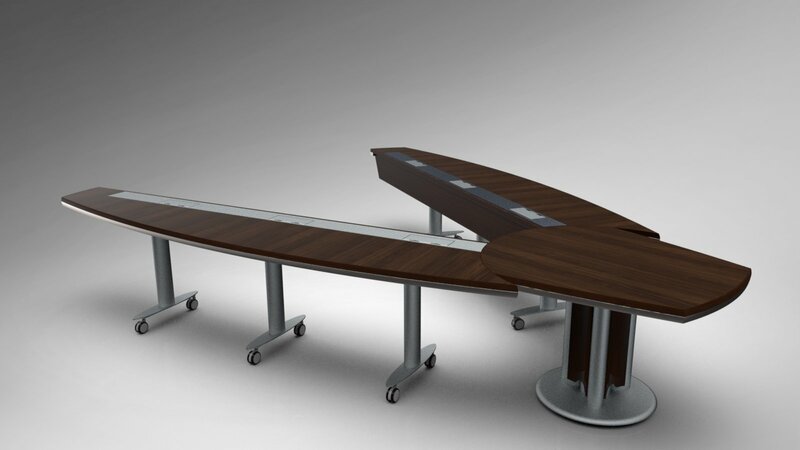 One end of the table remains fixed, while the side extensions, or wings, glide outward into the extended position. 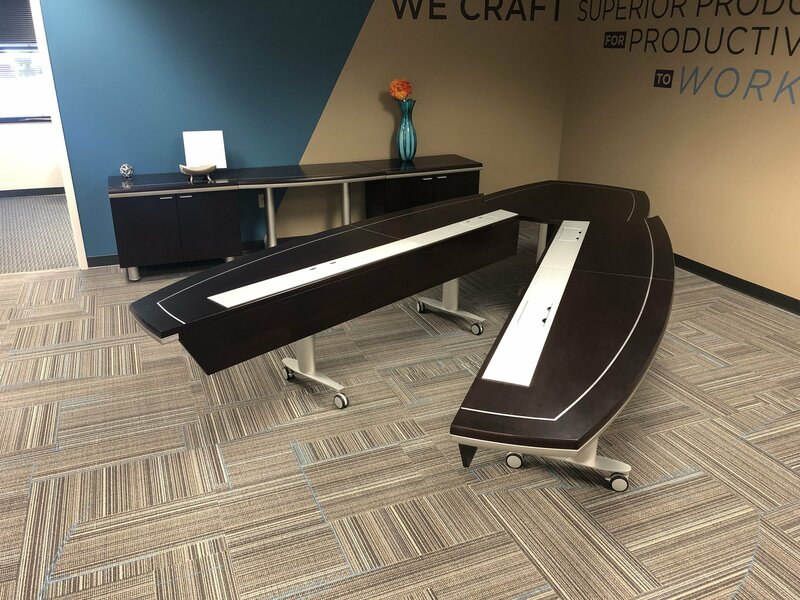 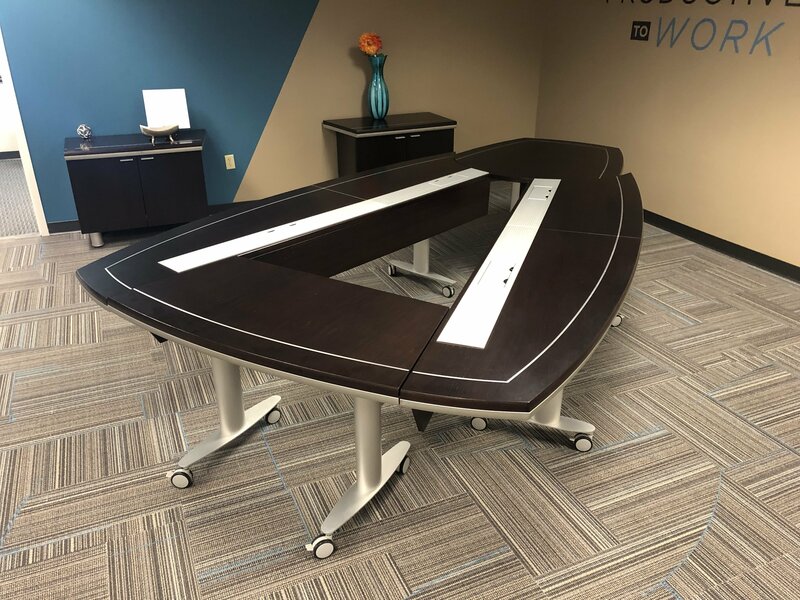 The Eventi Articulating table offers the ultimate in flexibility to become a conference table, a presentation table and a boardroom table all in one! 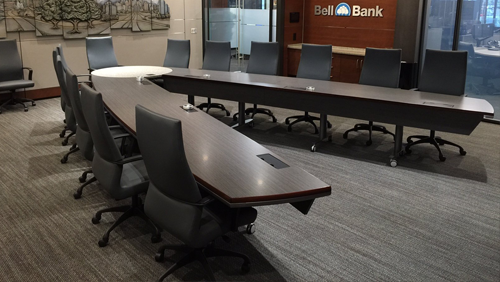 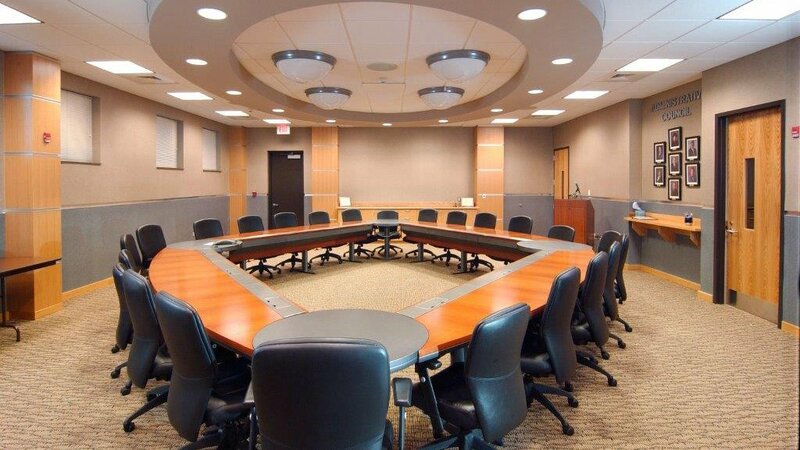 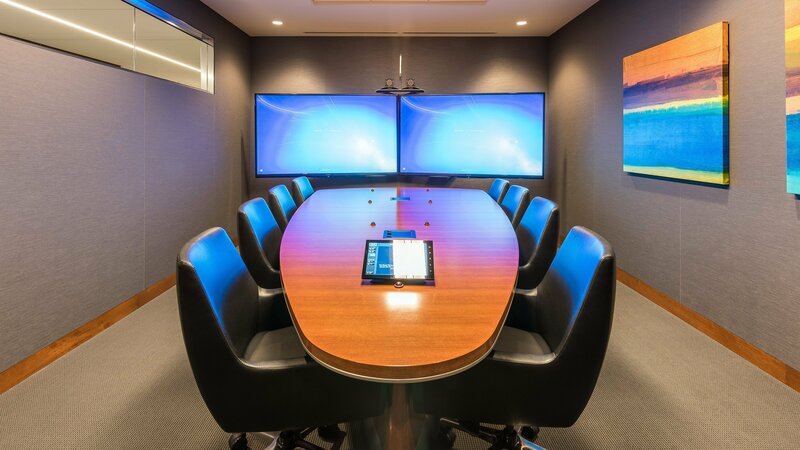 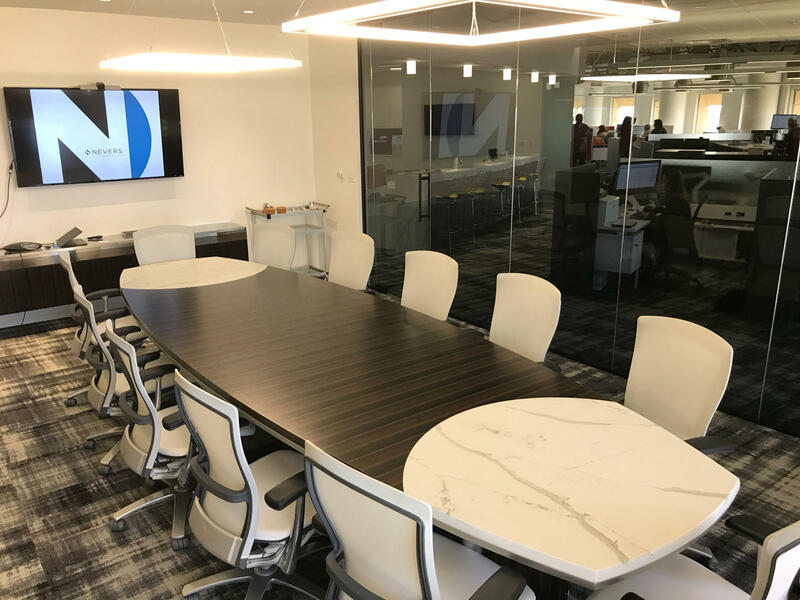 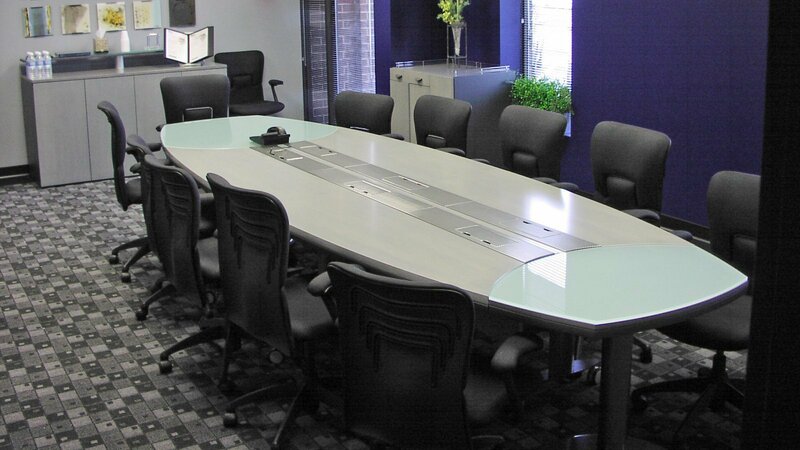 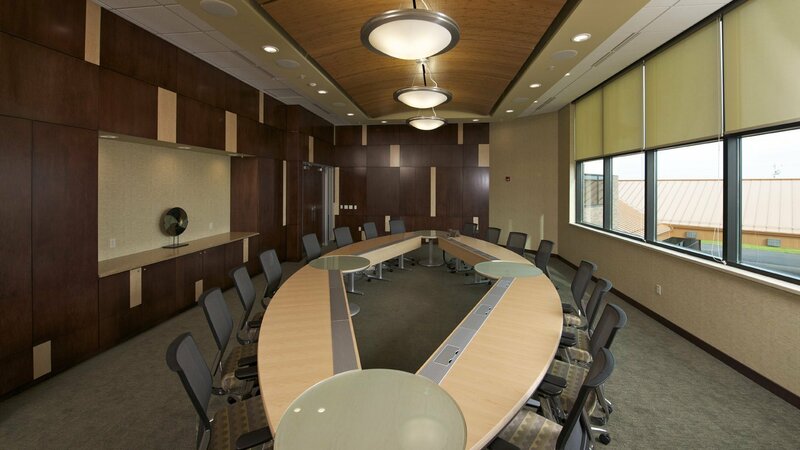 Eventi Executive type conference table’s exclusive segmented table top design allows combinations of wood, metal, glass, and stone. 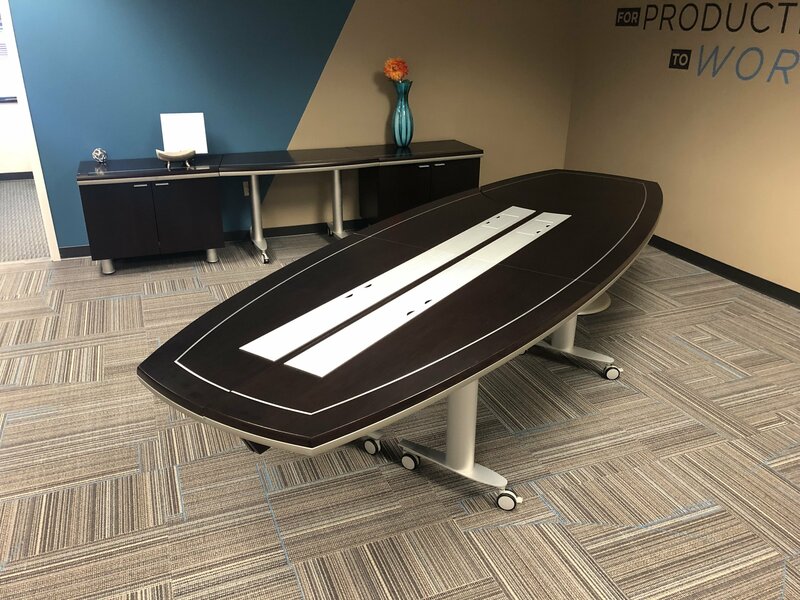 The plateau is a secondary part of the edge detail, and because it is finished in colorcoat, adds an additional design element on its own. 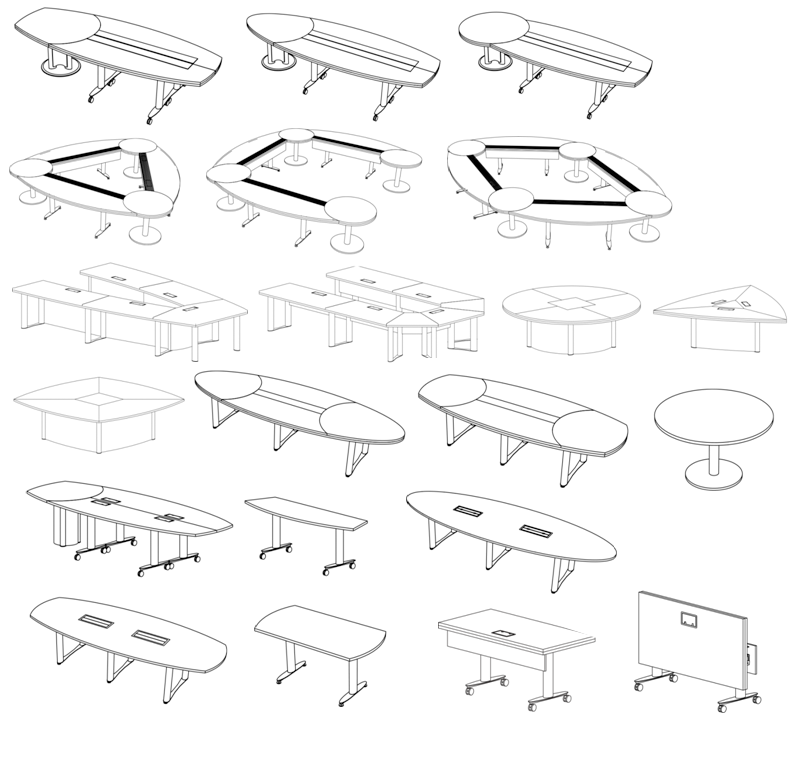 Bases available are open and airy leg bases or wood panel bases. 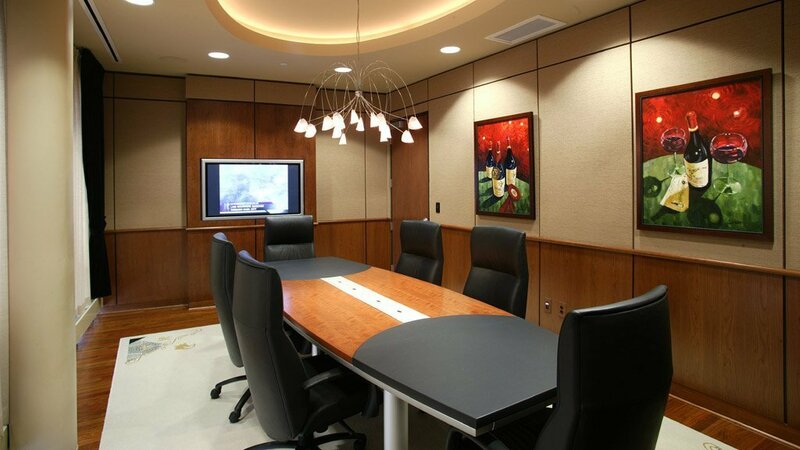 Equipped to handle today’s technology needs for power/voice/data and audio visual. 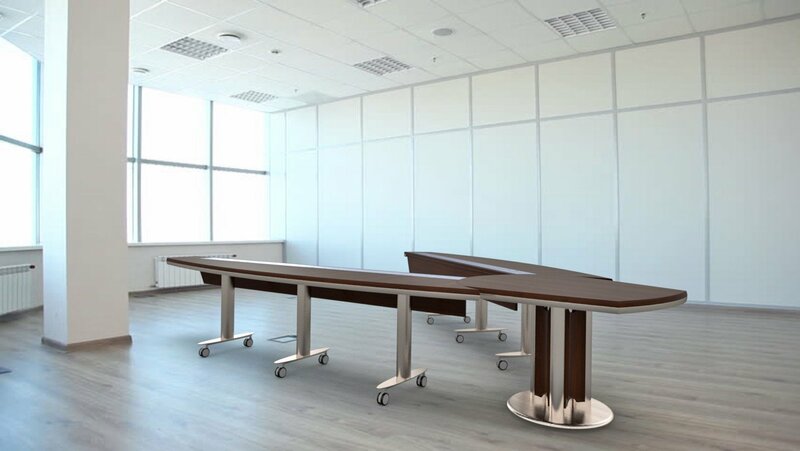 All the basic design elements that define Eventi have been carried into the Dué Tables- but with standard (non-segmented) table tops and the plateau edge as an optional design detail. 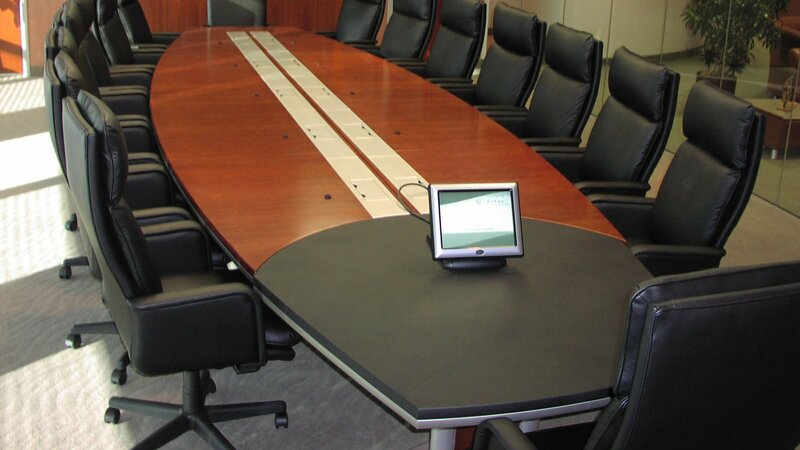 The Eventi Dué transforms from solid table, to open presentation table, to multimedia viewing. 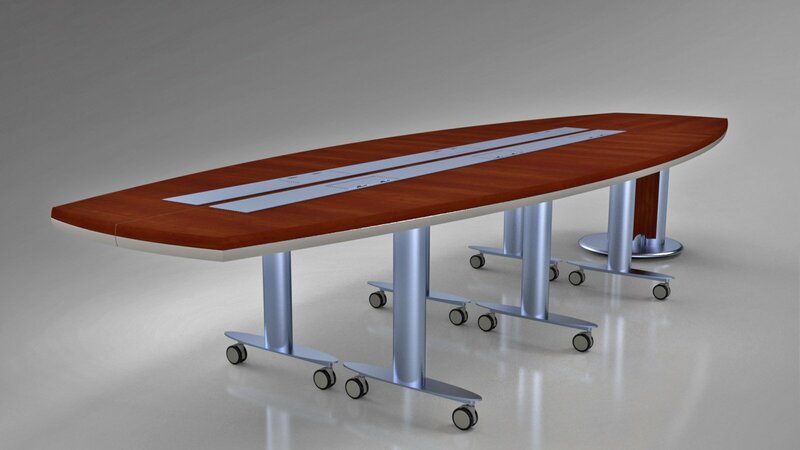 One end of the table is fixed, while the side extensions, or wings, easily roll outward into the extended position.